The volume explores the interrelated topics of transnational identity in all its ambiguity and complexity, and the new ways of imagining community or Gemeinschaft (as distinct from society or Gesellschaft)) that this broader climate made possible in the Romantic period. The period crystallized, even if it did not inaugurate, an unprecedented interest in travel and exploration, as well as in the dissemination of the knowledge thus acquired through print media and learned societies. This dissemination expanded but also unmoored both epistemic and national boundaries. It thus led to what Antoine Berman in his study of translation tellingly calls "the experience of the foreign," as a zone of differences between and within selves, of which translation was the material expression and symptom. As several essays in the collection suggest, it is this mental travel that distinguishes the Romantic probing of transitional zones from that of earlier periods when travel and exploration were more purely under the sign of trade and commerce and thus of appropriation and colonization. The renegotiation of national and cultural boundaries also raises the question of what kinds of community are possible in this environment. A group of essays therefore explores the period's alternative communities, and the ways in which it tested the limits of the very concept of community. 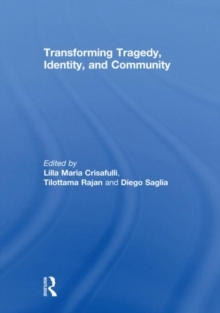 Finally, the volume also explores the interrelationship between notions of identity and community by turning to Romantic theatre.